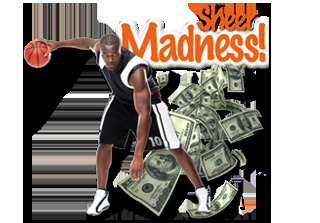 March Madness - Slam Dunk Savings Online Course Purchase Options There are several ways to take advantage of our offer now, quickly and easily. Remember our courses don't expire, so if you purchase now you will still have until your renewal to complete them. Buy 14 hour credits at the low, special price now and choose your courses later when you’re ready to take them. Your course credits will appear on your Pace Member page. We have nine 14-hour packages, each of which contains all of your 2019 continuing education requirements. We have all courses grouped by requirement category. This makes choosing your own custom package a breeze! First, if you're a current customer, login and we'll highlight any courses you've taken with us before. Note: The licensing board does allow you to re-take courses completed in previous cycles for continuing education credit if you would like to do so. If you would like to take advantage of this offer, just give us a call at 1-800-576-4341. We can complete your purchase for you in a few short minutes. We have complete and special required course packages to help meet your 2021 continuing education requirements. We have all courses grouped by category to make choosing your own custom package a breeze! First, if you're a current customer, login and we'll highlight any courses you've taken with us before. Note: The licensing board does allow you to re-take courses completed in previous cycles for continuing education credit if you would like to do so. We have all of the courses you need to meet your CE requiement. We have all courses grouped by category which makes choosing your own custom package a breeze! We have our approved courses grouped by category which makes choosing your own custom package a breeze! We have three 13-hour bundles, all of which include the required approved courses. The LRB course is offered only through Oregon CCB. If you have any questions or would just like help getting started, please don't hesitate to give us a call at 800-576-4341 or simply e-mail us. We're here to help you complete your continuing education… quickly, easily and affordably. Register to win by purchasing at least one course or becoming a PacePDH.com member before 11:59 PM EDT January 31, 2019. Becoming a member is free, click here to become a member and sign up. ADDITIONAL REFERRAL ENTRIES ARE ALLOWED BUT NO DUPLICATE ENTRIES ARE ALLOWED. Please note the contest rules and eligibility requirements below. The winner will be drawn on February 1, 2019. The following promotion is intended for adult participants in the United States only and shall be construed and evaluated according to the laws of the United States. Do not proceed in this promotion if you are not a legal resident of the United States. Eligibility: Open to all licensed construction professionals who are legal residents of the United States. Employees of PacePDH.com, The Media Factory, Inc. their affiliates, subsidiaries, marketing affiliates and partners, advertising and promotion agencies are not eligible to enter. How to Enter: Those eligible may register by purchasing at least one course or becoming a PacePDH.com member before 11:59 PM January 31, 2019. Only one entry will be allowed per person plus any referral entries. Entries may not be sold, transferred, or assigned. Eligible Entries: The Media Factory, Inc., at its sole discretion, will determine eligibility of entries. Any duplicate entries will be discarded. Winner Selection: From among all eligible entries received, one winner will be selected in a random drawing conducted by The Media factory, Inc. Winner will be required to sign and return an affidavit of eligibility and liability/publicity release. Prize: One Grand Prize of a Smart 4K UHD TV OR $750 cash to be delivered to the winner's home or office address in the continental United States.Approximate retail value: $750. Winner will be responsible for all applicable taxes on the prize. In the event that a winner chooses not to accept the prize, he or she forfeits all claims to that prize. Miscellaneous: By entering, participants, (a) agree to be bound by the official rules and the decisions of the judges; (b) agree to release The Media Factory, Inc. and their respective employees and agents from any and all liability, loss, damage or injury resulting from participation in this promotion or awarding, receipt, possession use and/or misuse of any prize awarded herein and acknowledge that The Media Factory, Inc. and its employees and agents have nether made nor are in any manner responsible or liable for any warranty, representation, or guarantee, express or implied, in fact or in law, relative to any prize including, but not limited to, its quality, mechanical condition or fitness for a particular purpose; (c) consent to use of his/her name, photograph and/or likeness for promotional purposes in connection with this promotion without additional compensation, unless prohibited by law; and (d) agree that additions or deletions to these rules may be made at the discretion of The Media Factory, Inc and may be enacted at any time prior to the announcement of a winner on February 1, 2019.